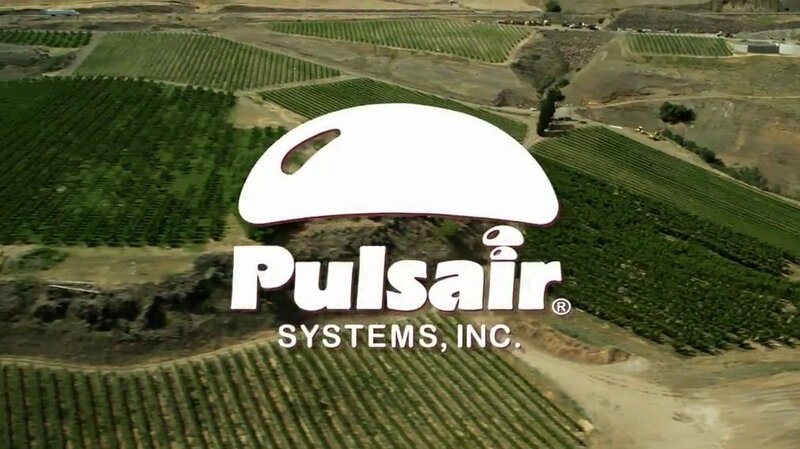 The Pulsair Wine Cart is designed as a mobile semi-automatic cap management and wine blending system. 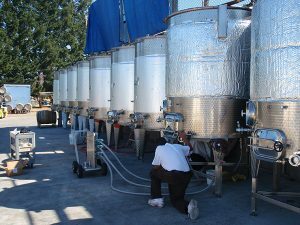 The Wine Cart can be used for large wine fermentation tanks, totes and smaller fermenters. 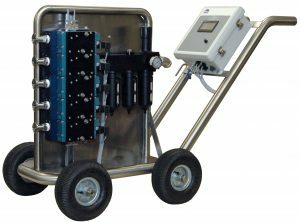 The stainless steel cart utilizes a state of the art touch screen programmable controller and a stack of injection valves that are connected to injection ports in a fermentation or blending tank. The connections from the cart to the tank are made using flexible hoses and tri-Clover flanged check valves. 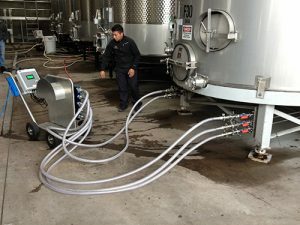 Also included are three clean air filters which supply food grade air to the wine to ensure quality. Reduces need for additives, nutrients etc.